Has anyone gotten more mileage out of a single catchphrase uttered over 30 years ago? 'I'll be back!' Was boldly stated by Arnold Schwarzenegger's T-800 cyborg in the original 1984 Terminator, and now he is saying it once again, as he confirms his participation in the upcoming James Cameron-produced Terminator Reboot (which some are calling Terminator 6). But it's not yet clear how this installment will tie into the overall franchise which has only ever been loosely rebooted. The original plan was for a new Terminator trilogy that was supposed to kick off with Terminator Genisys. That movie proved to be a big bomb, as it used time travel to completely rewrite the history of the sci-fi saga. Schwarzenegger once again reprised his iconic role. But that wasn't enough to get fans interested. And after some time passed, Paramount decided to end the trilogy with just that one film. But now the rights are reverting back to original creator James Cameron, who is producing a new Terminator movie. No details about the movie have been released. But Arnold Schwarzenegger showed up at Cannes, where he confirmed to Screen Daily that he will be reprising his most iconic role in what is a long history of action classics. He says this about returning as the T-800. This news comes shortly after it was confirmed by the actor that he would not be appearing in Shane Black's The Predator. He turned down that sci-fi thriller because the part was too small, and he didn't like the script. Speaking about his new environmentally conscious documentary Wonders Of The Sea 3D at Cannes, the subject of Netflix came up, and the debate about whether movies made for a streaming service should be included. Considering the question himself, Schwarzenegger admitted that he may be doing something for Netflix in the very near future. "They are a terrific company and they have done an extraordinary job. They're visionaries and they've rattled the cage a bit with the studios, that's good. New ideas and new ways of showing movies is good. For us entertainers, it's another way you can display yourself. I'm looking forward to working [with Netflix]. Hopefully there will be something." It isn't known if Schwarzenegger is gearing up for a Netflix original movie, or perhaps a series. But it will be interesting to see where this goes. As for Terminator, the movie rights don't go back to James Cameron until 2019. So it won't be until 2020 or beyond that the T-800 is back. No further details have been revealed by James Cameron, who is too busy to direct the movie himself, as he has recently embarked on shooting not one but four sequels to Avatar, which he will all director. 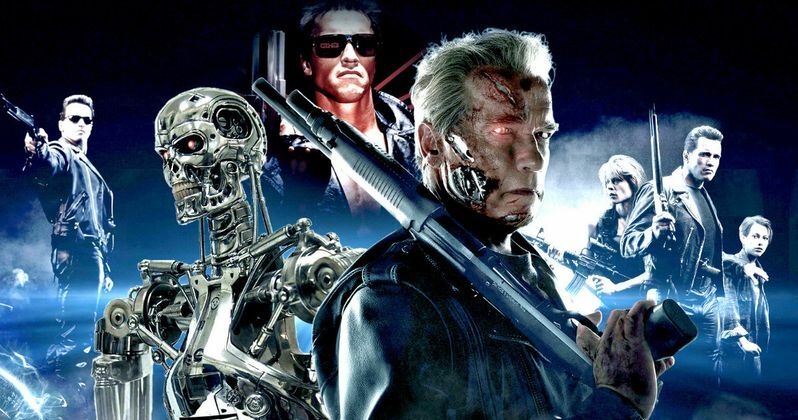 The latest rumor is that Deadpool director Tim Miller will jump into the director's chair for the impending Terminator reboot.